Millions of women worldwide constantly experience hair loss and nail wreckage, early signs of perhaps more serious inner health conditions our bodies are trying to express. Of course, beauty is another aspect of the hair and nails related caveats, as today’s society is continuously imposing high good looks standards. The ultimate Nuviante System, especially designed for the revival of dull, prone to breakage, lifeless hair and nails, is an innovative cosmetic solution that uses gentle, natural ingredients to help you regain youthful looks and high confidence, while boosting your health to the next level. The All-Natural Nuviante System blends 3 synergistic beauty enhancers that boost the health of the hair follicles, while making sure both scalp and nails benefit constant optimal care. By feeding the hair from the roots to the tops and keeping away irritations and dandruff, Nuviante System is a valuable tool for fighting uncomfortable hair loss, dullness and breakage. What does the All-Natural Nuviante luxury kit contains? Suitable even for the most sensitive skin types, the powerful, easy-to use trio uses the efficacy of natural ingredients to nourish the hair follicles from inside out, as you will have no concerns over adverse unwanted reactions and your hair will gain a softer, thicker and healthier appearance. 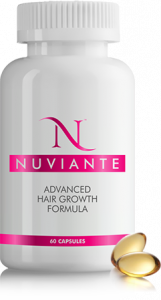 The ideal hair loss remedy, Nuviante Advanced Hair Growth Formula encapsulates a mix of dedicated natural ingredients, especially chosen to sustain hair nourishment and a proper structure of the follicular constituents. Therefore, Nuviante Advanced Hair Growth Formula promotes a longer, more resistant hair, fully nourished from inside out by the power of pure plant extracts and essential amino-acids, minerals and vitamins. What’s inside Nuviante Advanced Hair Growth capsules? PABA (a.k.a. Para-Aminobenzoic Acid) – a promoter of targeted proteins, that are essential for the proper development of the hair follicles, Para-Aminobenzoic Acid is also a hair growth accelerator. Moreover, PABA prevents early graying and helps the hair fight against the damaging effects of the sun (UV rays). Biotin (a.k.a. vitamin H, co-enzyme R or vitamin B7) – biotin encourages intensified essential amino-acids synthesis and boosts cellular growth and development, while fighting fragile hair and nail symptoms. Horsetail (Equisetum ravens) – with a content rich in silica and selenium, two minerals essential for the synthesis of iodine, horsetail increases the growth rate, as well as sheen, texture and strength, for a longer hair, with a vitality that shows and feels like never before. Pantothenic Acid (or Vitamin B5) – a reputable member of the B complex, vitamin B5 is essential for the optimal nourishment of the hair follicles and nail tissue, so that they grow healthy and strong. Additionally, Pantothenic Acid promotes superior cellular functions and accelerates hair growth process. As a bonus, vitamin B5 has remarkable anti-itching and anti-flacking effects, for a healthy scalp, free of dandruff, irritations and uncomfortable sensations. Summing up, by regularly using Nuviante Advanced Hair Growth Formula, women can boost both hair and aspect of their hair, by making sure the hair is fed from the roots to the tops and all follicular constituents are fully functional. The step 2 of the Nuviante System Treatment especially targets the good health of the hair follicle. Nuviante Follicle Therapy is a provider of essential fats and proteins, needed to enhance the specific metabolism. Due to its proprietary blend of carefully selected ingredients, Nuviante Follicle Therapy directly contributes to a superior functioning of all cellular constituents, while promoting a stronger, more radiant hair. Bamboo Silica – the natural bamboo silica extract boosts the health of the hair follicles and helps you attain new levels of shine, texture, volume, radiance and strength. MSM (Methylsulfonylmethane) – an organic sulfur compound that builds proper amounts of collagen. Collagen promotes elasticity and resistance of both skin and hair. * Nuviante Follicle Therapy is ideal for all hair types and successfully complements step 1 of the All-Natural Nuviante System. 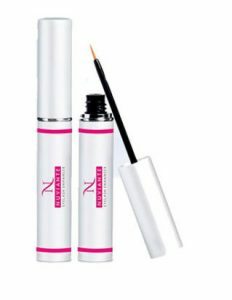 Nuviante Eyelash Enhancer is the innovative cosmetic serum promoting fuller, thicker and longer eyelashes and a more attractive look, as beautiful glances can make women be irresistible. Kelp Extract – contains high amounts of calcium, iodine, vitamin A, B1, B2, C, D; nourishes hair follicles and promotes more volume and resistance for the eyelashes. Honey Extract – hydrates and nourishes, from the roots to the tops. Especially designed, with a gentle formula suitable for the most sensitive of eyes, Nuviante Eyelash Enhancer is used topically (externally), as an expressiveness and self-confidence booster. Nowadays a major beauty asset, beautiful hair also makes women be more confident and daring. 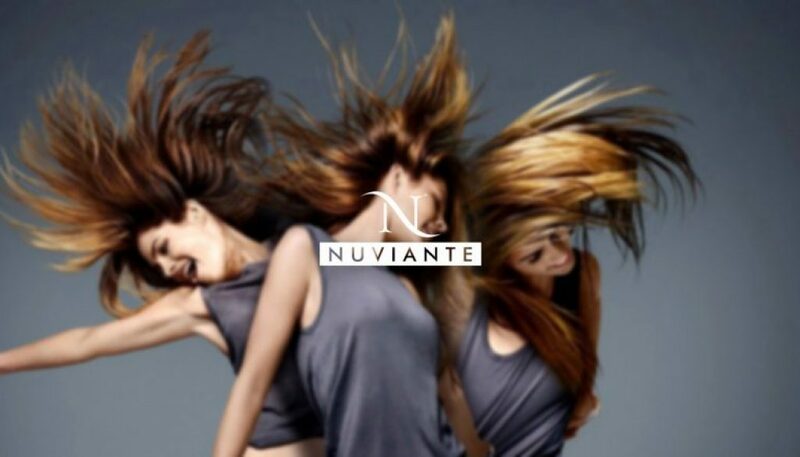 The all-Natural Nuviante System supports and empowers women to feel this way, by assisting a healthy, accelerated hair growth and regeneration, while radically fighting embarrassing hair loss, early graying and environmental deteriorations. 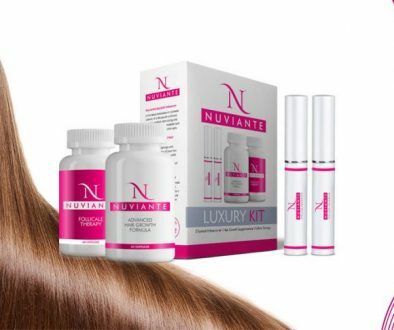 For a silkier, shinier aspect of the hair, with more volume and length, discover the 3 steps of the Nuviante Luxury Kit and feel empowered to attain new levels of confidence! *Note: When starting the Nuviante treatment, strictly respect the indicated dosage and storage recommendations. Nuviante is not suitable for children or pregnant/nursing women.